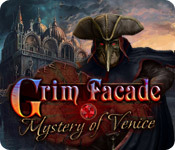 Grim Facade: Mystery of Venice is rated 4.0 out of 5 by 48. Rated 5 out of 5 by ChristinaX9 from Beautiful HO/Puzzle Mystery Game I have been really impressed with ERS's first two offerings of Grim Facade, I think it is their best series. In this one you are the detective cast back in Venice at the time of the plague, investigating the abduction of a mother and daughter. There is a lovely nostalgic Venetian scenery with beautiful crisp period graphics, including many lovely objects like roses, masks and fans that will appeal to many women. Music is nice too and voiceovers are good. I played on the advanced mode but there is an easier one too, for novice players. There are lots of HO's, but also many original puzzles. I was very happy to notice that although many were easy ERS did have 3-4 puzzles that were challenging which was excellent. I especially loved the one with the word and the other one with the skulls. I would like to see more of those puzzles in future games. There was also an easier but very pretty theatre play mini game. All in all an excellent experience, looking forward to the new offering The Price of Jealousy. A definite buy. Rated 5 out of 5 by 5Jodi from Beautiful game I love this game! I found the storyline interesting and I just loved the scenery and beauty of old Venice! And I enjoyed the background music as well. The HOS had beautiful items to find. I just found the game fun and a joy to play. Rated 5 out of 5 by rosekaufmann from BREATHTAKING Spectacular! The artistry is incredibly breathtaking. The mystery and characters fetching. The adventure you encounter while pursuing the villain shows the imagination of the creative team. The HOS are bright, crisp, clear and pleasing to the eye. Although the HOS are replayed, anything that is changed the first time it’s played remains changed in the subsequent scene. So you aren’t looking for the same objects. And the music is easily the best I’ve heard in any game. Two main scores (with at least one minor track): one for HOGs and one for the adventure portion - both are top-notch, apparently composed for Mystery of Venice, and fit the story perfectly. A couple HOGs have no music and I so wanted to shake my computer and blame it for not playing any. Puzzles are innovative with difficulty ranging from intermediate to more challenging. Animation is fantastic and clearly reflects what the character is saying. Voice acting is the weakest point but, for the most part, is very good (though it sounds like one actor plays the distraught husband, as well as the villain). Don’t forget to collect all coins because you will need everyone of them to buy needed tools. 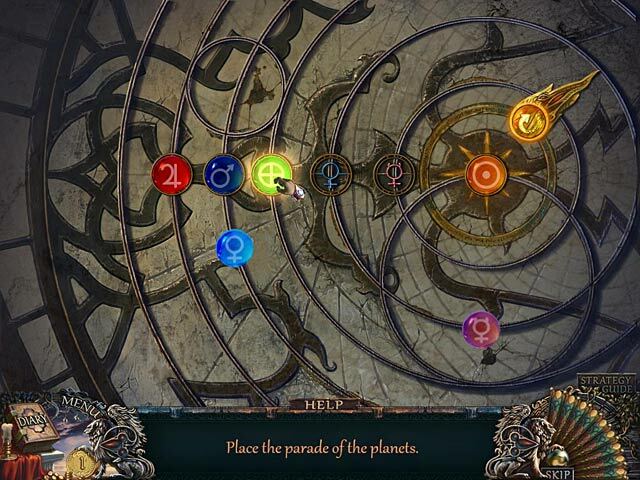 This is one of the most beautiful games I’ve ever played – but then it is from ERS! Rated 5 out of 5 by neilskinut from enjoyable Not to easy for a beginner. You have to remember to get the coins during the game. The HO and puzzles can be difficult for some. You do have to move around to get clues to use. Still a good game and fun. Rated 5 out of 5 by centauri272 from A nice journey in Venice! The storyline is interesting: you have to save a mother and a daughter from a baaad guy. I played in expert mode. - The graphics are crisp. - The HOS are clear. You receive hints for fans that you'll find in these scenes. 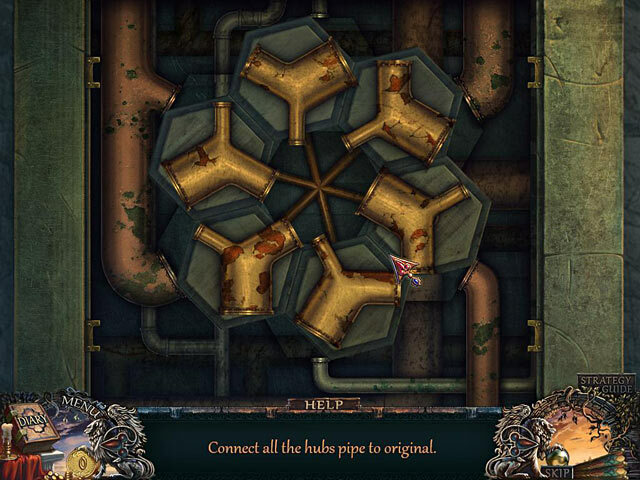 - The puzzles are quite easy, but some are really challenging. - There is no map, but no need to travel the whole way back after completing a part. - There are ducats to find, so you can buy things you'll need at some locations. The game length is good, it took me 3 hours to finish. All in all, again a great ERS game. Rated 5 out of 5 by Boomer1097 from Enjoyable Game I really enjoyed this game. It is set in Venice, the music was very nice, the story line was fun and the graphics were great. A couple of the mini games seemed almost impossible. I really liked the hidden objects scenes. All the objects were there, just nicely hidden instead of obscured by shadows. Plus you had to look for fans and ducats. I also liked the cursor changing depending on where you were in the game. This is one of the most enjoyable games I've played. Rated 5 out of 5 by aleta59 from Really good Great graphics and voice overs. Good length. HOS mostly clear, some interactive. Save your doucats and only buy when you really have to. Interesting characters, very life like. A fair number of creepy crawlies.